Sep 05, 2018 | By CENS | CHK SEALING TECHNOLOGY CO., LTD.
Chk Sealing Technology Co, Ltd., established by a team led by Chairman Chen Yi-chang, has over twenty years of experience manufacturing automobile valve stem seals. 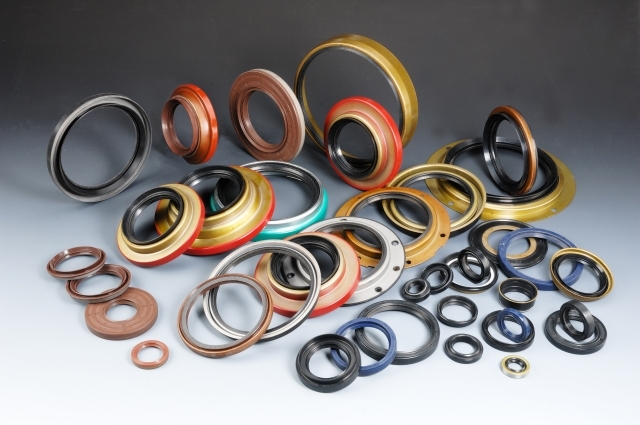 We manufacture various valve seals and rubber components. Our production technology is a manual production method from ten years ago, with development moving gradually toward automated production. In 2002, CHK SEALING obtained recognition of its products' quality through the ISO90001 certification recognized by the UKAS Organization. We hope to serve our customers with better quality. CHK SEALING is marketed worldwide under the brands CHK, SOK, OKS, UMI, SUN, etc. We are also an OEM product factory authorized by multiple customers. Our application scope includes cars, scooters, buses, trucks, tow trucks, and other various valve seal products Chen Yi-chang has explained that, in order to maintain the quality and stability of our products, CHK SEALING has not hesitated to invest in professional production and testing equipment. He also mentioned that is to provide both domestic and foreign customers the best quality products, the most competitive prices, and the fastest delivery. Service items are as follows: European car seals, American car seals, Japanese car seals, motorcycle seals, and various engine seals. New products can be developed based on customer samples. Chen Yi-chang has also said that we serve all of our customers through the concept of innovative research and development, and we take customer satisfaction as the goal of our company's business development. In addition, with the most professional and highest-tech technology, we have become a designated OEM supplier to major manufacturers worldwide, so that CHK SEALING's various product series can be sold worldwide.